Trumpeter Loz Speyer's Inner Space Music will tour the UK in November 2015, supported by Arts Council England and will be making one or two stops in the North along the way. The group released their first album, Five Animal Dances, in 2008 and their follow-up, Infinity Sea Rockets was released in 2013 (both on Spherical Records). The chord-less quintet features two saxophonists - Rachel Musson and Chris BiscoeC alongside drummer Gary Wilcox and bassist Olie Brice. 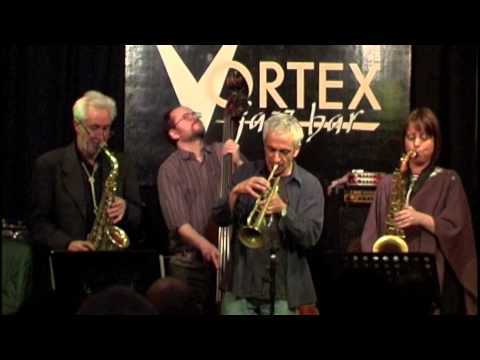 Their tour, 'Jazz Beyond The Limits' will call in on three Northern venues - Jazz Cafe in Newcastle on November 24th, The Goodfellowship Inn in Hull on November 25th and at Fusebox - The Fox and Newt in Leeds on November 26th. Loz's website contains information on the dates as well as the chance to hear both Inner Space Music albums and purchase them online.